But your response seems to be call for state tax and spending cuts. That seems implied by your comment that the “state’s tax climate also matters” and adding that the state faces a $4 billion deficit, plus additional lost revenue from federal changes to health care and tax policy, which is estimated to be over $2 billion. I would suggest that a better approach than austerity budgets is to improve the business climate and reduce government deficits by enacting the New York Health Act in order to lower health care costs to business and government. The New York Health Act would provide universal health care for all New Yorkers for all medically necessary services with no out-of-pocket expenses (premiums, co-pays, deductibles). Health care for all would be paid for by a single public payer that is funded by payroll taxes on employers and employees that is progressively graduated by wage income. Progressive taxation of income from capital gains, dividends, and interest would also contribute, as would federal funds now received by New York for Medicare, Medicaid, Family Health Plus, and Child Health Plus. Ninety-eight percent of New Yorkers would pay less for health care than they do now. The state’s economy would save $45 billion annually on health care costs. The savings would come from the reduced administration costs of a single-payer system and the curbing of monopoly profiteering by drug and medical device companies. The bill has passed the Assembly twice and is one vote short of passage in the Senate. After the bill is enacted, the governor will submit a specific revenue proposal to the legislature. Economist Gerald Friedman has done a cost analysis and revenue proposal based on the progressive taxation provisions of the bill. Friedman finds that the employer payroll tax would average 8 percent of payroll. Using that 8 percent of payroll costs compared to the current costs of private or self-insured plans for public employees, the City of Syracuse would save $80 million a year ($42 million for city employees, $38 million for school employees), Onondaga County would save $152 million a year ($54 for county employees, $98 million from Medicaid), and New York state would save $2.7 billion. Those savings are more than enough to cover Syracuse’s recurring structural deficit of at least $15 million a year. It would substantially reduce the deficit facing the state budget. The savings will improve tax climate for Onondaga County especially, where current health care expenditures of $171 million ($73 million for employee insurance, $98 million for Medicaid) are 122 percent of the county property tax levy of $140 million. With those savings, Onondaga County could improve services and cut property taxes. Private businesses will also benefit. For example, Yorkville Sound is a manufacturer of musical instruments, audio amplifiers, loudspeakers, and related professional sound reinforcement equipment. It is an international company based based in Toronto, Canada, with branches in the UK and Sweden, all countries with single-payer public health care plans that cover their employees. But Yorkville’s U.S. branch in Buffalo finds buying insurance for employees costly and an administrative burden. 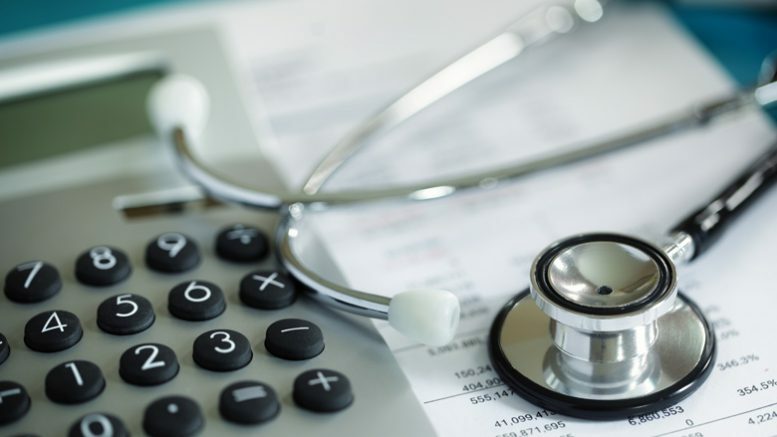 With 18 employees and a $1.2 million payroll in its Buffalo branch, Yorkville has calculated that under the New York Health Act, its annual health care costs would be reduced from $159,312 to $54,904, saving the company $104,408 annually. Employers spend a median of 12.8 percent of payroll on health insurance in New York state. By lowering the burden of employee health care on business to 8 percent of payroll, the New York Health Act would make businesses in New York more competitive by cutting the top driver of the growing costs of doing business in New York. Investment would be drawn to New York to take advantage of the reduced cost of hiring workers. Management and entrepreneurial energy would be freed from the time and expense of choosing, purchasing, and administering health insurance plans. And it would cut the tax burden of providing health care for public employees, which is the top driver raising the costs of government. Howie Hawkins, of Syracuse, was the Green Party candidate for mayor.